Last month, a traveler raising money for charity in Brooklyn’s ultra-Orthodox Jewish community drove through the night to Detroit - his next fundraising stop. He felt sick en route and saw a doctor when he got there. But the doctor, who had never seen measles, misdiagnosed the man’s fever and cough as bronchitis. Over the next two weeks, the traveler would become Michigan's Patient Zero, spreading the highly contagious respiratory virus to 39 people as he stayed in private homes, attended synagogue daily and shopped in kosher markets. His case offers a cautionary tale about how easily one of the most infectious pathogens on the planet spreads within close-knit communities - especially those whose members live, work and socialize outside the mainstream. "Every one of our cases has had a link to the initial case," said Leigh-Anne Stafford, health officer for Oakland County, a Detroit suburb where all but one case was reported. "What's similar about all of these communities is that they live in proximity to each other and spend a lot of their time interacting with each other," said Daniel Salmon, a professor of international health at the Johns Hopkins Bloomberg School of Public Health and director of the school's Institute for Vaccine Safety. "That's what matters. Measles doesn't care what your cultural heritage is." The traveler had come from Israel last November to Brooklyn, the epicenter of a measles outbreak, and stayed for about two months before going on to the Detroit area in early March, said Russell Faust, Oakland County's medical officer. The man, whom Michigan health officials are not identifying, told them he was visiting ultra-Orthodox communities in the United States to raise money for charity. When the man called back to complain of a rash the next day, the doctor thought he was having an allergic reaction. But after the doctor thought more about it, he worried about the possibility of measles and decided to leave a voice message for the health department with the man's cellphone number. Health officials jumped on the case - but couldn't reach the man because of a problem with his cellphone. They turned to Steve McGraw, head of Oakland emergency medical services and longtime member of the Detroit-area Hatzalah, the ultra-Orthodox community's emergency medical response group, an all-volunteer effort with deep ties to many families. McGraw alerted rabbinical leaders, then jumped in his car and drove to the area the traveler was supposed to be staying to look for the man's rental car, a blue sedan, knowing it would stand out among the minivans used by virtually every family. "There is only one disease, and you have it," McGraw recalled saying, as one rabbi translated into Hebrew. "He put his head down and was very emotional. I could tell from the look on his face that he was devastated. He was doing the math in his head," counting all the people he had been in contact with, McGraw said. "This guy was walking around all over the community and contagious," McGraw said. "We knew we had a really significant exposure." Measles virus is so infectious that if an unvaccinated person walks through a room up to two hours after someone with measles has left, there's a 90 percent chance the unvaccinated person will get sick. People can spread measles for four days before and four days after the telltale rash. Because measles is so infectious, at least 96 percent or more of a community need to be vaccinated to prevent risk of outbreak. On March 13, blood tests confirmed the traveler's measles. The strain matched the genetic fingerprint of the New York City outbreak, McGraw said. The same day, health officials alerted the public. Over the next few weeks, Janet Snider, a pediatrician for many ultra-Orthodox families, and Gedalya Cooper, an emergency medicine doctor, both members of the Hatzalah, visited people in their homes to diagnose and test them for measles. The Council of Orthodox Rabbis of Greater Detroit issued an unequivocal statement, saying Jewish law obligated every community member to be "properly and fully vaccinated" according to the CDC. The agency recommends children get two measles, mumps and rubella (MMR) doses, starting with the first dose at age 12 through 15 months and the second dose at age 4 through 6 years. "In order to protect and safeguard each and every individual within the larger community, every individual, family and institution must take the necessary precautions against anyone who chooses not to be vaccinated," the statement said. Now, with 555 measles cases in 20 states - the highest in five years - other localities are looking at that model. 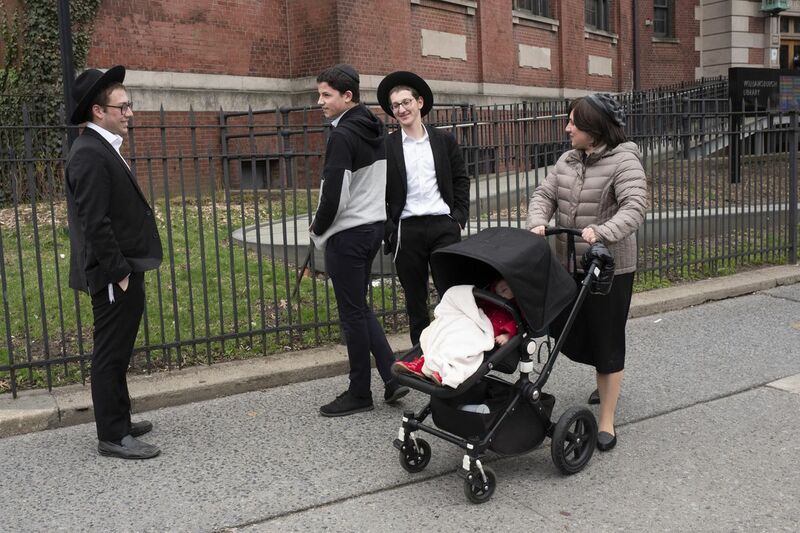 Hatzalah groups in other parts of the country are reaching out to county officials for advice on boosting vaccination within the ultra-Orthodox community, Faust said. "There are a fair number of nonimmunized or under-immunized adults," said Faust, the medical officer. Some of the adults infected also were born before 1957, when most people caught measles and are thought to have natural immunity. Gaps in vaccination coverage have led to a 20-year high in measles cases in Europe. Major outbreaks also are taking place in parts of the Middle East, Southeast Asia and Japan. More than 1,200 people have died in Madagascar. With spring break and summer vacations approaching, travelers visiting European countries with outbreaks, such as France and Italy, have a much higher chance of bringing infections back to "islands or pockets of vulnerability," said Saad Omer, an infectious disease expert at Emory University.